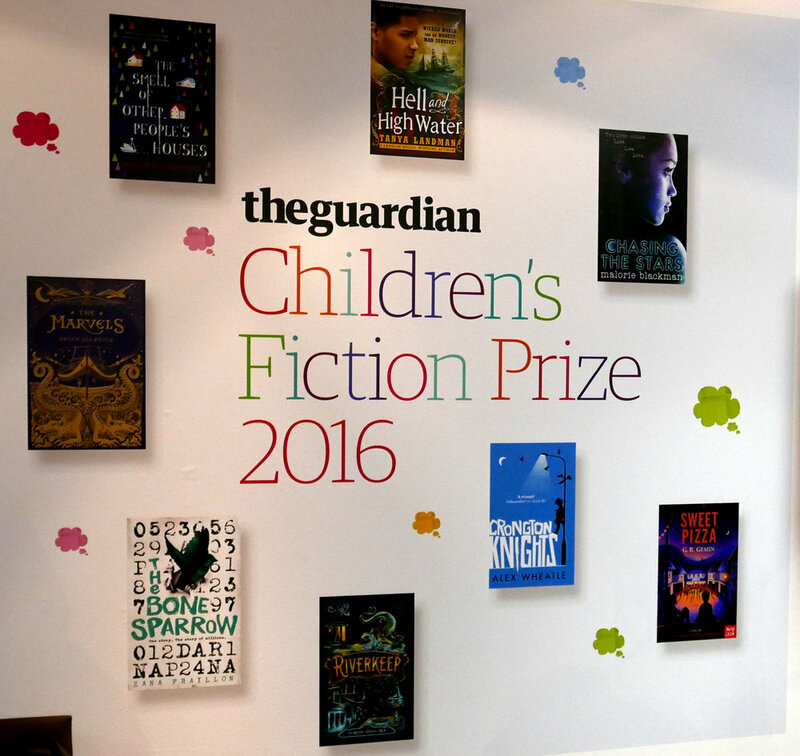 On Thursday 17th November I attended the ceremony for the Guardian’s Young Critic Award at The Guardian headquarters in Kings Cross, to receive an award for my review of one of the eight longlisted books for the Guardian’s Fiction Prize. My English teacher Mr Gallagher had sent a link to enter this national competition, open to 10–18 year olds, to all the Thirds and Removes. I wrote a review for The Marvels by Brian Selznick, which you can read below. It is a story within a story set in both 1766 and present day London, one that defies the stereotype that illustrations in books are only for children. I was hesitant to apply for this competition as I did not expect to hear back from The Guardian, but to my amazement they quickly emailed back with good news! Attending the ceremony, I met other like-minded young people who have a thirst for knowledge as big my own! 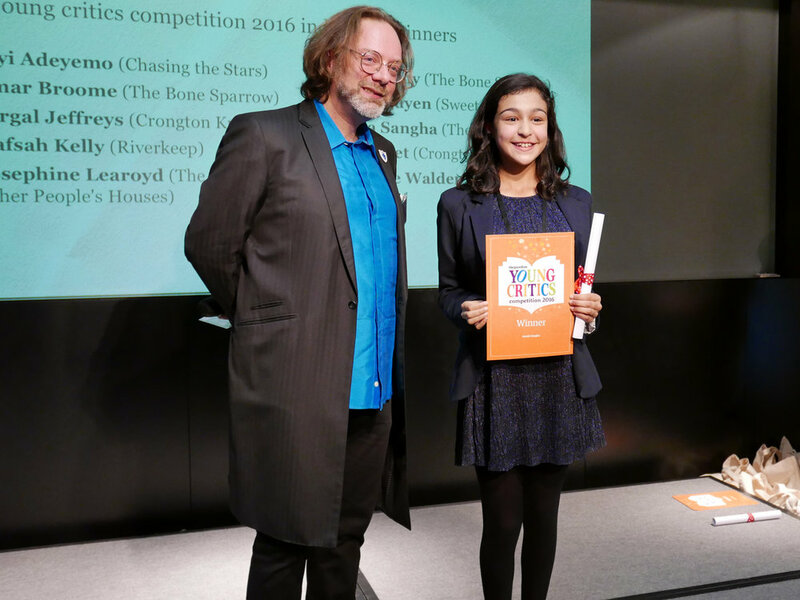 It was amazing to meet the judges and authors of the long-listed books who inspired and encouraged me to carry on writing and reading because one day perhaps I could achieve wonderful things like themselves in my own writing. I was even given a tour by one of the Guardian’s Editors around the building, just before they were about to publish tomorrow’s newspaper; this was very interesting and I am grateful for the experience. Following the prizegiving, the room filled with anticipation as everyone waited eagerly to find out which of the authors had won the Guardian’s Fiction Prize - a prestigious writing award. The winner was Alex Wheatle, who became the 50th winner of the award with his novel Crongton Knights. I got to meet Wheatle, who was very kind and, judging by the other young critic’s reviews of his book, deservedly won his award! The night was wonderful, and it has fuelled my passion for reading and writing even more. I encourage everyone to read the eight longlisted books, as these authors are the faces of teen literature today, and will provoke, inspire, and change the way young people think. In my opinion, their works will help make us more well-rounded, developed people. I read this novel in one sitting. It was as if the entire story never had a full stop, or even a comma. I glided through every line of The Marvels with ease and excitement. I was compelled to do so by Brian Selznick’s incredible illustrations, shadowing a complex and rich collection of prose and art that entwine together to create a story I will never forget. The book is seemingly a collection of two very different stories. One is completely in sketches, so detailed and precise that they tell you more than words could. These illustrations are set in 1766. They tell the story of young Billy Marvel and what happens to him after a tragic shipwreck, and while his brother dies, he is moved to London where he finds work in a theatre. He becomes a lionised actor among people in London, and his family for generations travel the world as the acclaimed acting family, The Marvels, entertaining and performing with their spellbinding talent. Until much later on in the 1900s when innocent and creative Leontes Marvel is called a failure and his parents’ decision to sequester him leads to a terrible misfortune. The second story is set in the 1990s, nearly 100 years later. It begins with Joseph Jervis who seeks shelter in his uncle Albert Nightingale’s haunted house, which seems to have frozen in time because everything in it is laid out as if still in the time of Leontes Marvel. Through exploration, Joseph’s mission to find out the secrets to the eerie and bewitching fragment of history that his Uncle lives in leads him to find out implausible secrets about his family’s past and things that might have been better left a secret. My emotions constantly fluctuated, reading this novel. I couldn’t help but laugh at the sweet comic touches, and despair at the tragedies in equal amounts. Ultimately, lying behind its gold-edged pages is the moral that not accepting change can hurt you, and obsession making you narrow-minded and stops you from living in the present. Albert’s life is a metaphor of this. This book explores coping with the feeling of belonging when society pressures you to live a certain way. This piece of fiction is, I feel, revolutionary, because the idea that there is a correlation between the two stories – and through clues and foreshadowing, you have to try and work out what this is – feels like unfair detective work. I don’t think I could have ever seen the plot twist at the end coming. It felt so refreshing to read a book where the ending was so unimaginable, yet even more incredible was the fact that half of this book is drawings. Selznick really defies stereotypical ideas that illustrations in novels are only for younger children. Graphics that could make me cry, and laugh and feel things more than words ever could deserve to be celebrated by all ages.